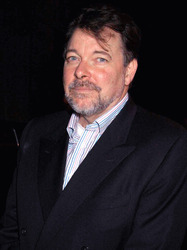 Frakes is best known for his portrayal of Commander William T. Riker in the television series Star Trek: The Next Generation and as David Xanatos in the animated television series Gargoyles. Moving on to directing in recent years, Frakes directed and also starred in Star Trek: First Contact as well as Star Trek: Insurrection. He is also the author of a book called The Abductors: Conspiracy.